1 drawing on paper ; image 3.75 x 3.25 in., on sheet 10.5 x 8 in. 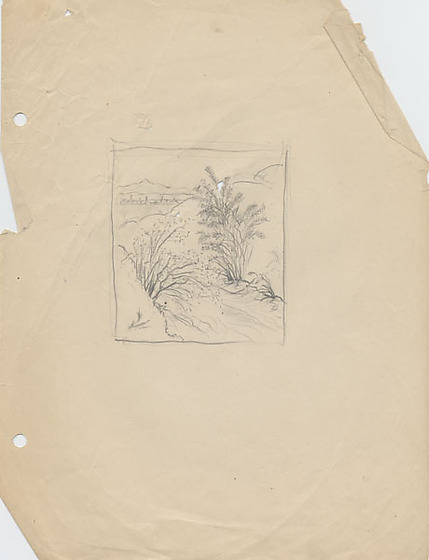 Pencil drawing of landscape within rectangular border in center of paper. Two shrubs grow along the sides of a diagonal path extending from bottom right to center left; a hill extends diagonally to upper right behind. Fences, barracks, and Heart Mountain visible in background.